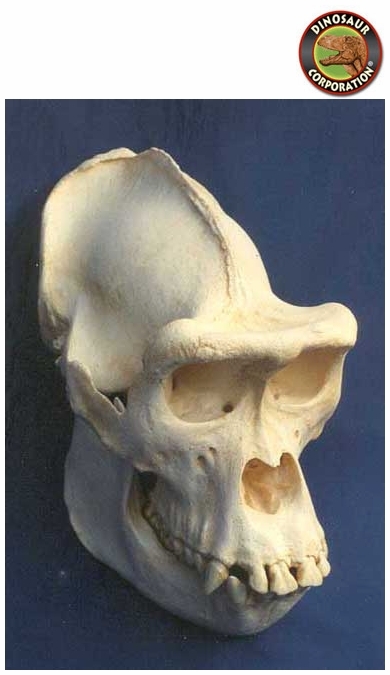 Gorilla skull. Female. Gorillas constitute the eponymous genus Gorilla, the largest extant genus of primates by physical size. They are ground-dwelling, predominantly herbivorous apes that inhabit the forests of central Africa. Gorillas are ground-dwelling, predominantly herbivorous apes that inhabit the forests of central Africa. The eponymous genus Gorilla is divided into two species: the eastern gorillas and the western gorillas, and either four or five subspecies.